Looking for a congratulation gift for the gymnast in your life? 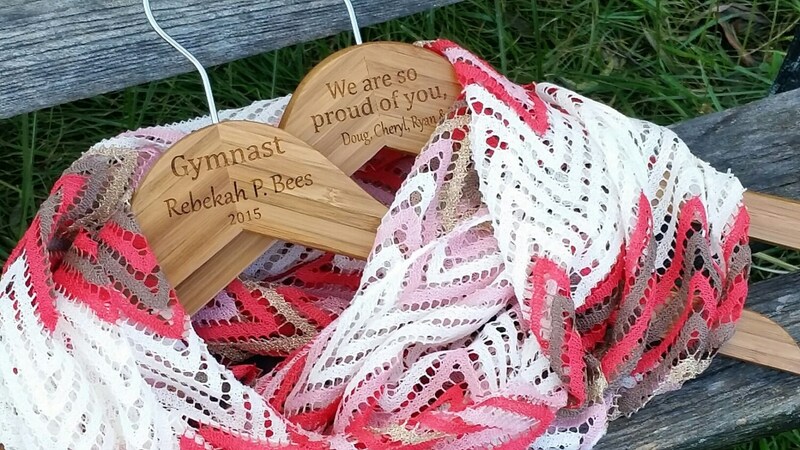 Our beautifully engraved hanger will make the perfect gift for the gymnast in your life. She can proudly hang her gymnastic outfit on this beautiful hanger. Each hanger can be custom engraved as per your request. Want to add a personal note? We can engrave that on the back for a lasting memory! QTY: 1 hanger nicely gift wrapped!